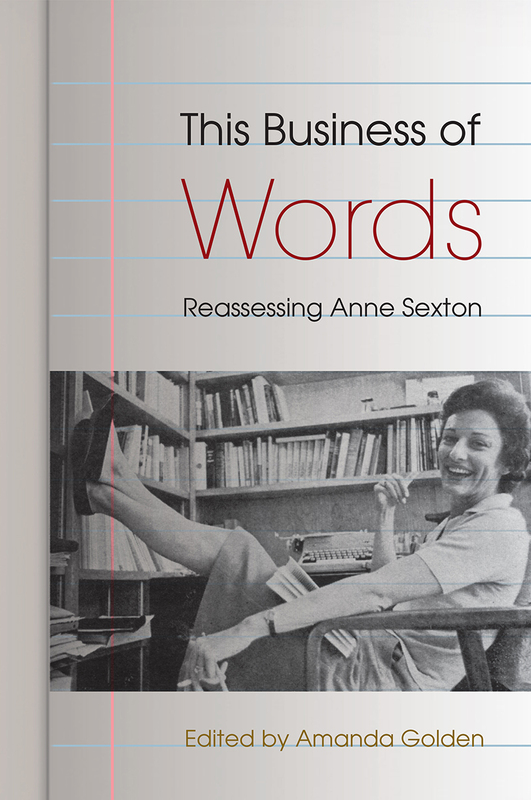 Amanda Golden’s collection of essays This Business of Words: Reassessing Anne Sexton brings new attention to Anne Sexton’s poetry, archives, and legacy. 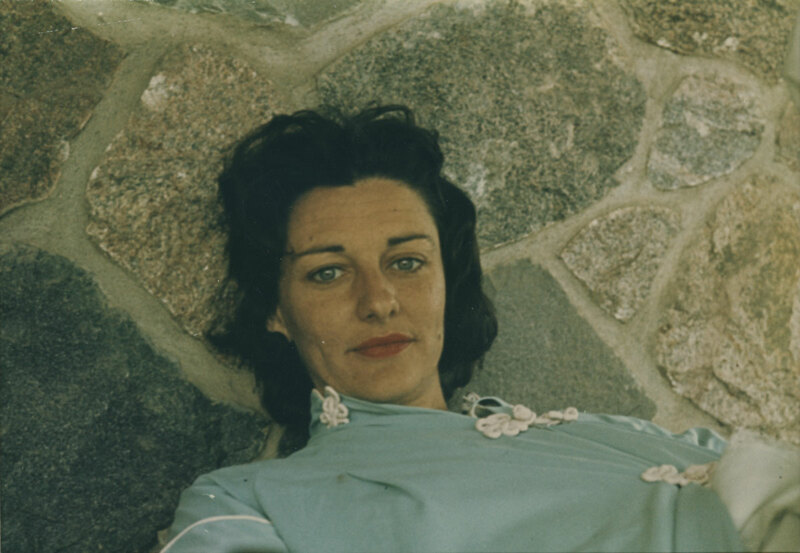 The book, which is scheduled for publication by University Press of Florida this month, contains analyses of Sexton’s poems by both literary critics and poets that reveal the unique trajectory of her literary career, and is informed by the collections at the Ransom Center. In addition to being an assistant professor of English at the New York Institute of Technology, Golden is the recipient of a 2007–2008 dissertation fellowship from the Ransom Center, jointly sponsored by the Ransom Center and the University of Texas at Austin Office of Graduate Studies. Contributors to her book include Christopher Grobe, recipient of a 2012–2013 Andrew W. Mellon Foundation Research Fellowship from the Ransom Center; Anita Helle, recipient of a 2010–2011 Marlene Nathan Meyerson Photography Fellowship from the Ransom Center; and Kamran Javadizadeh, recipient of a 2014–2015 Frederic D. Weinstein Memorial Fellowship and Dorot Foundation Postdoctoral Research Fellowship in Jewish Studies from the Ransom Center. In the interview that follows, Golden discusses the book and the unique legacy left by Sexton. 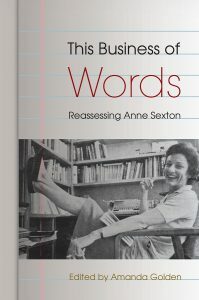 This Business of Words: Reassessing Anne Sexton contains five interpretations of Sexton’s poetry by literary critics and five by poets. What is the benefit of having equal representation of these viewpoints within a single volume? How do they shed unique light on Sexton’s work? The balance of critics and poets in This Business of Words presents a wide spectrum of views that often converge in unexpected ways. Approaching some of the same topics and poems from different directions, the essays in this collection allow us to see the creative dimensions of criticism and the critical dimensions of creativity. In some essays, poets remember their early encounters with Sexton’s work and reflect upon the way her reception has changed. The critics engage a range of topics, including performance, media, psychological and academic institutions, photography, and suburban culture. The poets address Sexton’s craft, her responses to her contemporaries, and her impact on future poets. Sexton is often compared to Sylvia Plath for their similar styles of confessional poetry. What are the flaws in this comparison? It is tempting to compare Plath’s and Sexton’s poetry. Doing so teaches us more about how their poetry, and poetry in general, works. David Trinidad’s “‘Two Sweet Ladies’: Anne Sexton and Sylvia Plath’s Friendship and Mutual Influence” in this collection makes such a comparison to good effect. Plath and Sexton audited Robert Lowell’s poetry workshop at Boston University in the spring of 1959. Famously, as Sexton recounted in her essay “The Barfly Ought to Sing,” both women frequented the Ritz Carlton Hotel bar with George Starbuck. After Plath left the United States for England in late 1959, Plath sent Sexton at least two letters (both are at the Ransom Center), and Sexton sent Plath a copy of All My Pretty Ones (1962) that remains with her library in the Mortimer Rare Book Room at Smith College. While she recorded her late poems, Plath did not give public readings of her more personal poems in the way that Sexton did. Christopher Grobe’s contribution to This Business of Words, “From the Podium to the Second Row: The Vanishing Feel of an Anne Sexton Reading,” includes many of the poems that women and men who attended Sexton’s readings were inspired to send her. Plath did not see a similar response to her work. Anne Sexton, n.d. 981:0089:0060. Anne Sexton literary file, Photography collection, Harry Ransom Center. Do you have any ambitions for how this book will affect or encourage further scholarship on Sexton? I look forward to future scholarship that analyzes Sexton’s poetry in relation to different forms of media. Victoria Van Hyning’s contribution to this collection, “Reading, Voice, and Performance: ‘The Freak Show’ Revisited” addresses Sexton’s final reading at Goucher College in 1974, a recording that Van Hyning has also published as a podcast. In her essay, Van Hyning examines Sexton’s strategies for giving poetry readings and her responses to the Caedmon recordings of poets reading their work. In doing so, Van Hyning considers Sexton’s response to preserving her own voice. Future scholars may create new digital archives or interpretations of Sexton’s work using digital tools. How did the Ransom Center’s Anne Sexton archive contribute to the content of the book? Because there has been less critical attention to Sexton’s archive, unlike the treatment of Plath’s archives in books like Susan Van Dyne’s Revising Life: Sylvia Plath’s Ariel Poems (1993), Tracy Brain’s The Other Sylvia Plath (2001), Lynda K. Bundtzen’s The Other Ariel (2002), and Anita Helle’s collection, The Unraveling Archive: Essays on Sylvia Plath (2007), part of the motivation for this book was to give voice to the archival contexts that shape Sexton’s poetry.